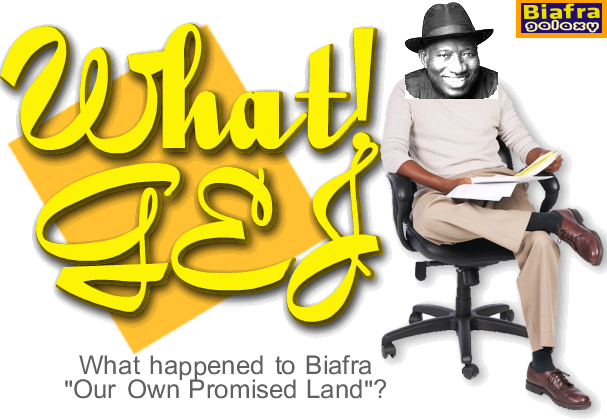 COVER THE LIES OF NIGERIA OR GET FIRED; Why I Sacked Odimegwu by Jonathan. Abuja — PRESIDENT Goodluck Jonathan explained, yesterday, that the former chairman of the National Population Commission, NPC, Chief Festus Odimegwu was relieved of his appointment because of certain statements he made, which brought credibility problem to the commission. The president, who disclosed this while swearing in the chairman and two commissioners of the National Population Commission; a member of the ICPC as well as two Advisers at the Presidential Villa, charged public officials to be mindful of their utterances in order not to erode the confidence of the people in the work of their agencies. He said: “When we have a country that the population is growing than the way our economy is growing, then we must know our population figures, so that government at federal, state and local levels will be able to plan. “The population commission is critical and you also have to be mindful about the statements you make and that is not limited to the national population commission alone, but to all of us who are holding offices. Addressing the new chairman, the President said: “I dropped your predecessor because of certain statements he made. “He is a fine gentleman, everybody knows him, very cerebral. But an institution like the National Population Commission must be one that people will believe in whatever you do. “And if you make pronouncements that will create credibility problem to that institution, the best thing is for you to step aside for some other person to step in because the credibility of that institution is critical. “Perception in most cases are stronger than real, no matter what you do if the perception is wrong then society will not follow you,” the president charged. Odimegwu’s comments raised a quantum of dust in the polity with the presidency firing him a query. He also received an avalanche of attacks from many northerners especially, Kano State Governor, Rabiu Musa Kwankwaso. Going by the 2006 headcount, Kano is the most populous state in the country. Odumegwu’s comments belie Nigeria’s topsy-turvy experience with population census. Acclaimed as the most populous nation in Africa, the true number of Nigerians has always remained a matter of estimates. Currently, Nigeria’s population is between 160 – 167 million based on projections from the 2006 census that put the nation’s population at 140 million with the North accounting for 73.6 million and the South having 64.9 million. Population figures had always been a subject of mudslinging between Southern and Northern politicians. For Southerners, the belief is that the population of the North has been “over-counted”. They argue that going by simple demographic distribution pattern across the globe, population increases as one moves from the hinterland (desert or Savannah regions) to the coast. They wondered why in the case of Nigeria, the North which lies more in the arid zone, is more populous than the coastal South. For Northerners, their extensive landmass and population must not be taken for granted, facts, said argued that several head counts had confirmed. Ihejirika: Igbo youths, others warn northern elders. A coalition of Northern and Igbo youths has cautioned the Northern Elders Forum on its call for Lt.-Gen. Azubuike Ihejirika’s trial at the International Crime Court (ICC). It said the elders should not destroy the young generation with hatred, division and mistrust. Addressing a joint news briefing in Abuja, the presidents of the Ohanaeze Ndi-Igbo Youth Organisation, Comrade Uzoh Ifeanyi and Northern Youth Leaders Assembly, Comrade Tijani Kabiru Mohammed, said the elders were seeking media attention and looking for the spoils of the political economy of their self-made crisis. They said the feeling among Igbo youths was that the North could still not imagine that an Igbo man could head the Army, while northern youths were given the impression that an Igbo man commanded a troop to kill northerners. “We the northern and Igbo youths have built bridges of fraternity and friendship and do not want anybody to lead us back to the hatred and bitterness of the civil war era. “As Nigerians, we are united in search of a solution to our national challenges. It could be suffocating when wisdom vanishes from the heads of elders. “We, the youth, have a duty to tell them that they are wrong and should stop. The country is yet to recover from the threats issued by some of them in 2011. We can hardly afford another crisis,” the youths said. They condemned attempt by the elders forum to create tension, disunity, instability and hatred, urging them to stop inciting Nigerians against one another. Jerry Gana- North’s opposition to Jonathan’s 2nd term 2015 unfair. A member of the Peoples Democratic Party’s Board of Trustees, Professor Jerry Gana, yesterday, described as unfair the mounting opposition from the north against President Goodluck Jonathan’s second term bid in 2015. Prof. Gana, who made the claim in an exclusive interview with Vanguard in Abuja, pointed out that Jonathan had an inalienable right to run again in 2015, as there was no law barring him from the contest. Gana pleaded with those in the north still opposed to Jonathan’s presidential bid in 2015 to give him a chance to complete his tenure as provided for by the Nigerian Constitution. Yar’Ádua’s tenure and contesting for the first time as president in 2011. The former Information minister, who noted with dismay the claim by some northerners that Jonathan signed an agreement with them to run for a single term of four years, disputed the existence of such a deal and challenged those making the allegation to produce the document or keep quiet. Gana said it was in the interest of the north to support Jonathan for a second term since the President had done so well for the region and Nigeria within two years than any sitting President in Nigeria. He said the achievements of Jonathan in the areas of improved power supply; roads, agriculture, aviation and job creation were unprecedented in recent years. The BoT member noted that even if Jonathan did not want to run in 2015, the South-South, which has always supported the North to produce the President of Nigeria, should be assisted by the North to contest and win. Islamisation Agenda In Nigeria: Our Concern – CAN. elements in the media have attempted portraying these killings as ethnic or socio-economic related clashes, the pattern of the attacks confirm that it is a religious war, patterned after the Islamic Jihad. According to the World Watch List, The majority of the incidents of conflicts that have been reported in the international media as ‘clashes’ between Muslims and Christians in actual fact have been one-sided violence against Christians.”Continuing, he said as a result of these crises, thousands of Christian men, women and children have been murdered, thousands of children have become orphans, thousands of women are widowed, while innumerable Christian men and women have been maimed and mutilated.“It is unbelievable that in this age and period, human beings could descend to such level of inhuman barbarity and cruelty while claiming divine mandate. Nigerian citizens have been hacked to death with machete, their throats have been slit with knives like rams, their heads have been severed from their necks with the saw carpenters use on wood, the barrel of AK 47 has been placed on their nose before being fired, the stomach of pregnant women were ripped open with knives, they have been burnt alive, and all manners of unprintable atrocities have been committed by some Nigerian citizens against other Nigerian citizens all in the name of expanding a religion,” he stated.“In Borno, Yobe, Adamawa, Plateau, Benue, Bauchi, Kogi, Niger, Nassarawa, Taraba, Kano, Kaduna, Gombe states as well as the Federal Capital Territory, individuals and groups of individuals, claiming Islamic injunction, have been routinely killing, bombing, maiming and mutilating Christians. Properties of Christians are being destroyed and their places of worship as well as business locations are routinely burnt and destroyed.“The situation reached a crescendo that the Federal Government was compelled to impose a state of emergency in the states of Borno, Yobe, and Adamawa on May 14, 2013.“Despite the emergency rule, the Islamic terrorists did not relent in their attacks.”.Atilade maintained that the 2013 World Watch List report showed that 66% of Christians killed, globally, were Nigerian Christians.Wondering why there is a conspiracy of silence over the emerging religious war in Nigeria, the archbishop attempted to give reasons why the situation persists, noting that what is more distressing is the valid information that the incessant bloodshed is a culmination of a carefully planned agenda to turn Nigeria into an Islamic state and Africa as an Islamic continent.Members of the Boko Haram, he argued, have clearly announced that their objective is to Islamize Nigeria. “We are aware that a meeting was held many years ago to strategize on Islamizing Africa in general and Nigeria in particular. We are also aware that eradication of Christian groups resistant to Islamic conversion was advocated in a conference held in Abuja in 1989. That Islamic agenda is unfolding before our eyes today,” the archbishop said.“We wish to use this medium to alert Christians in Nigeria, particularly in the South-west, that there is an Islamic agenda that has been launched against Nigeria, and the trend of events seems to point in the direction of the South-west as the next battle ground. There seems to be a gradual plot to make Islam the dominant religion in the region.“We cannot understand why the political party that is currently ruling in the South-west fielded mostly Muslims as its governorship candidates. 80 per cent of the governors of this political party in the South-west are Muslims. It is a gross imbalance that must be redressed without delay.“To add to our apprehension, Osun State Gov. Rauf Aregbesola has commenced taking decisions and introducing policies that are clearly anti-Christian.“Osun State under Gov. Aregbesola is not hiding its intolerance and disdain for the Christian faith. Recently, as a direct result of his policies, a Christian secondary school in Osun was invaded by Muslims and the principal was nearly beaten into a state of coma. It is by a stroke of divine intervention that he did not die. Borrowing from the Ondo and Anambra Governorship Polls of October 20, 2012 and November 16, 2013, respectively, as in INEC’s conduct of election 120 days before the end of the tenure of a serving governor; and specifically according to Section 132 (2) of the Constitution of the Federal Republic of Nigeria 1999 as amended in 2011, the election into the office of the President of Nigeria may most likely hold by January 2015.
same month in accordance with Section 116 (2) of the Constitution as amended. And elections into the 31 States’ governorship seats may most likely hold by the same January 2015. This is in accordance with Section 178 (2) of the Constitution as amended. The Independent National Electoral Commission is expected to announce the timetable for the elections most likely by October 2013(usually not later than 90 days before the poll’s date). There are a total of 1,695 top elective offices at Nigeria’s Federal and States’ tiers of government, out of which, polls may most likely be conducted in 1, 685 seats by January 2015. The remaining ten governorship and deputy governorship seats are presently under staggered electoral calendar owing to Peter Obi v INEC Case of 2007 delivered by the Supreme Court of Nigeria. While INEC is constitutionally empowered to organize elections into 1, 695 top elective seats of the Federal and States’ governments, the States’ Independent Electoral Commissions (SIECs) are charged with the constitutional responsibility of conducting elections into 11, 788 Local Government chairmanships and councillorships in the country’s 774 LGAs under staggered circumstances. It is a truism that one out of the 1, 685 elective polls to be conducted by INEC by January 2015 will make or mar Nigeria. This singular election is “an election too many” and it is no other than “the presidential election of 2015”. It is our indisputable findings that the Presidency, the National Assembly and the Independent National Electoral Commission hold the key to the success or failure of the all-important 2015 general elections in Nigeria. The three important political establishments also face three major challenges threatening not only the polls, but also the lives and liberties of Nigerians as well as corporate existence of the country. The three major challenges are: security, unconstitutionality of rotational presidency among the six geopolitical zones and Mr. President’s second term ambition. It is correct to say that solutions to these three major challenges will save the country from chaos and bloodletting of unimaginable proportion looming large over the polls. In the world over, political dominance in heterogeneous and multi religious countries by particular tribes or sections against their minority or weaker partners have led to disintegration of hitherto united and vibrant countries and caused hundreds of thousands, if not millions of deaths and institutionalization of group crimes. From former Yugoslavia to Lebanon; from Rwanda to Burundi; from Ivory Coast to Central African Republic; the list continues. The Serbs/Christian dominance of political powers from the time of Marshal Josip Broz Tito, who died in office (1st prime minister of Yugoslavia from 1943 and president between 14th of January 1953 and 4th of May, 1980), led to the Yugoslavian complex and bloody civil wars between 1991 and 2001. The wars eventually broke up the country into seven countries of Serbia, Slovenia, Montenegro, Macedonia, Kosovo, Croatia and Bosnia & Herzegovina, on account of the Dayton Peace Accords of 1995. In Lebanon, it was ethno-religious differences between Maronite Christians and Muslims (Sunni and Shia) and political dominance and foreign influences that led to her blood civil war between 1975 and 1990. In Rwanda and Burundi, political and military dominance by the Tutsi tribe, which constitutes about 14% of the two countries’ populations respectively against the majority Hutu tribe (85%) and acute minority tribe Twa (1%) led to several civil wars that engulfed the two countries since 60s with that of Rwanda degenerating into genocide that killed between 800,000 and 1,000,000 Tutsis and moderate Hutus between April and July 1994, a period of three months. Presently in the Central African Republic, the country is polarized and divided along Christian and Muslim war zones since the ousting of Gen. Francois Bozize on 24th March, 2013 by an Islamic rebel alliance known as “Seleka”. In Nigeria, political dominance is incontestably factual. Though Section 14 (3) of the Constitution frowns at it, but the Section is made leprous by Section 6, sub 6 (c) of the same Constitution, which ousts the jurisdiction of any court to inquire and sanction its defaulters, likewise other provisions under Chapter Two-Fundamental Objectives & Directive Principles of State Policy. In 1999, the Southwest or Yoruba tribe got the Presidency through pen militancy and the South-south or Southern Nigeria’s minorities, who presently occupy the throne since 2010 (successor presidency), got it through arms propelled by resource control militancy. As the 2015 general polls, especially the presidential poll, draw closer, we are now a witness to mass defection from one party to the other and fusion of political parties with strong tribal or ethno-religious influences. These are all geared towards returning Nigeria back to “born to rule” inglorious epoch where the old Western and Muslim Northern regions were “born to rule” and other federating partners including Igbo tribe, northern and southern minorities were “born to be ruled”. Since equity demands “what ought to be”, to be and “what ought to be done”, to be done, and judging from the premise of six geopolitical zones of Northwest, Northeast, North-central, Southeast, South-south and Southwest; the three zones of Southwest, Northwest and South-south are disqualified by equity from contesting the 2015 Presidential Poll in Nigeria, having held the plum post democratically in 1999 to 2007 (Southwest), 2007 to 2010 (Northwest) and 2010 to 2015 (South-south). In order of equitable hierarchy, Southeast, North-east and North-central are equitably favoured and qualified to contest the 2015 Presidency and two others following it and among the three, Southeast is the “primus inter pares”, followed by the Northeast. Even during the military’s inglorious epoch, it was Mohammadu Buhari (1983 to 1987) Katsina Northwest, Ibrahim Babangida (1987 to 1993) Niger North-central, Sani Abacha (1993 to 1998) Kano Northwest and Abdulsalami Abubakar (1998 to 1999) Niger North-central. The best solution to social disharmony in a consociation democracy and ethno-religiously divided country like Nigeria is power rotation. The Republic of Tanzania made up of Unions of Tanganyika and Zanzibar formed in 1964 remains one of the stable countries in Africa. It has also not experienced any military coup since independence in 1961. It emerged from its post independence turbulence under its ruling party-Chama Cha Mapinduzi (CCM) with some form of power balance within its ruling party, between Tanganyika, dominated by Christians and animists and Zanzibar dominated by Muslims. Its presidency has flowed from Julius Nyerere (Tanganyika) 1961 to 1985 (under limitless tenure), Ali Hassan Mwinyi (Zanzibar) 1985 to 1995, Benjamin Mkakpa(Tanganyika) 1995 to 2005 to Dr. Jakaya Kikwete (Tanganyika) 2005 to 2015. In its ongoing constitutional review, one of the leading agitations is the constitutional rotation of its presidency between Tanganyika and Zanzibar with insistence that next president will come from Zanzibar in its 2015 presidential poll. In Lebanon, with parliamentary system, the presidency and army chief are zoned to Maronite Christians, the prime minister is zoned to Sunni Muslims and the speaker of the parliament is zoned to Shia Muslims and this has restored internal political stability in the country, except other external political factors and influences such as “Palestine question” and the fate of the State of Israel on the so called Arab lands. Without prejudice to a planned national conference of whatever name called, the National Assembly including the Senate and the House of Reps bodies working on constitutional amendment, should, as a matter of uttermost urgency and national importance, incorporate into the Constitution the rotation of the presidency among the six geopolitical zones under reference and state clearly on the premise of equity which zone should take the first shot bearing in mind that Southeast and Northeast have not governed Nigeria in recent times. Our prescribed order of hierarchy on the basis of a single tenure of six years is as follows: Southeast, six years (2015 to 2021), Northeast, six years (2021 to 2027), North-central six years (2027 to 2033), Southwest six years (2033 to 2039), Northwest six years (2039 to 2045) and South-south six years (2045 to 2051). If it is decided that it should start from the Northeast, or after the Southeast must have taken its turn, the arrangement must accommodate the Christians and minorities of Taraba, Adamawa, Bauchi and Gombe States. It is very important to point out that in the rotational arrangement being demanded, there will be a time for each beneficiary zone to “cry and smile”. The said constitutional arrangement can only be altered through a national conference, especially if the federating partners wish to live apart peacefully. The second important thing that must be done is that President Goodluck Jonathan should withdraw his second term ambition so as to allow the equitably favoured zone to take its turn and avert chaos and bloodletting imminent in the polls. This sacrifice for national unity and cohesion must be accompanied with collective acceptance by other federating partners of Northwest and Southwest extractions that six geopolitical zones’ presidential rotation be incorporated into the Constitution on a single term of six years. The third important issue is the provision of adequate security to secure the liberties and lives of Nigerians before, during and after the polls. The security arrangement must also include demographic security on the part of INEC. This includes credible voters’ cards’ review, efficient continuous voters’ registration and non politicization of INEC’s substantive and adhoc staff recruitment and management. 1. Shelve Your Excellency’s second term ambition for sake of national peace, unity and cohesion. 2. Ensure that Your Excellency quickly assent to the constitutional amendment bill under reference once it is brought to Your Excellency’s attention and if indeed it warrants Your Excellency’s assent. 3. Your Excellency’s shelving of Your Excellency’s second term ambition should be conditional and must be predicated on collective readiness of the federating partners of Hausa-Fulani and Yoruba extractions to allow for constitutionality of six geopolitical zonal rotating presidency with a start from Southeast, or at extreme consideration, the Northeast, with Christian, Muslim and Minorities’ eligibility. 4. Your Excellency as the Commander-in-Chief should ensure adequate security and liberty for all Nigerians before, during and after the January 2015 general polls. To this extent, Your Excellency should reshuffle Your Excellency’s Service Chiefs and restructure the command hierarchies of the Armed Forces including the Nigeria Police Force. 5. Your Excellency, as Chairman of the Nigeria Police Council, should look into secretive and lopsided promotions of senior officers in the Nigeria Police Force by the IGP, M.D. Abubakar and some say surrogate Nigeria Police Service Commission. The names of the beneficiaries of such promotions are kept secret because the exercise is utterly lopsided and appeared to have been designed to favour Hausa-Fulani Muslim senior officers. It is alleged that a number of course mates of the present IGP from the Southeast and South-south, are still at the rank of Deputy Commissioners of Police. 1. An unambiguous provision should be inserted into the Constitution of the Federal Republic of Nigeria, as being amended, providing for a six year single term rotational presidency among the six geopolitical zones in the order below: Southeast, Northeast, North-central, Southwest, Northwest and South-south. It should be done with uttermost immediacy and national importance. 2. Adequate funds should be provided for INEC for effective and efficient conduct of the important polls under reference. 3. Excuses of any type geared towards blocking or delaying the constitutional amendment being demanded, which may be premised on “want of time” or “national conference outcome” are totally rejected and immaterial to the present circumstance. If about 31 sections and sub sections’ amendments could be successfully carried out in the Constitution of Nigeria 1999 prior to the 2011 general polls within a short time frame, this popular demand of ours can as well be met in a question of few months before the polls. 1. Your Commission must discharge its duties in strict compliance with the provisions of the INEC Establishment Act of 2004, the Electoral Act of 2010 and the Constitution of Nigeria 1999 as amended in 2011. 2. To this extent, Your Commission should commence timely the continuous registration of voters and revalidation of voters’ cards and relaxation of stiff conditions attached to voters’ cards’ transfer processes and allied issues. 3. Your Commission should ensure deployment of adequate voters’ registration tools and personnel and designate clearly through adequate publicity registration centers across the country, which must be within the reach of registrable Nigerians. We advise that polling centers should be used. 4. Your Commission should avoid recruiting career politicians either as substantive electoral officers like RECs or adhoc electoral officers like EOs or ROs. 5. Your Commission should liaise with the NPF and the DSS with a view to constituting enforcement units to apprehend and prosecute those found flouting the criminal aspect of the Electoral Act of 2010 with specific reference to poll violence including killings, maiming, assaults, arson and other property destruction. Finally, ominous signs are already showing the imminence of chaos and bloodletting in the January 2015 general polls. It is an established and incontestable opinion that Nigeria is sitting on a keg of gun powder. With five to seven million illicit small arms said to exist and be borne by wrong hands in the country and scattered across the country, the Presidency, the National Assembly and the Independent National Electoral Commission must act swiftly to save the country and her citizens from violence of unimaginable proportion threatening the conduct of the all important polls. All forms of parochial and ethno-religious interests must be nailed in a coffin and collectivist national interests made to hold sway. And the chief among the collectivist national interests is the constitutionality of rotational presidency among the six geopolitical zones. The complex and complicated civil wars fought in the former Yugoslavia between 1991 and 2001 should serve as a collective lesson to the political authorities under reference in Nigeria. In the wars, Serbs and Montenegrins fought on one side, Croats and Bosniaks in Bosnia fought on the other. Also wars erupted between Bosniaks and Croats in Bosnia, between Croats on one side and Serbs and Montenegrins in Croatia on the other, between Serbs and Slovenes in Slovenia, between Serbs and Albanians in Serbia, between Serbs and Kosovo Albanians in Kosovo and between Albanians and Macedonians in Macedonia. If the foregoing tragic scenario plays out in Nigeria, the so called “giant of Africa” and “the world’s birth place for black people” will be a history. The Yugoslavian pogrom and “war of all against all” must not be allowed a space in Nigeria!